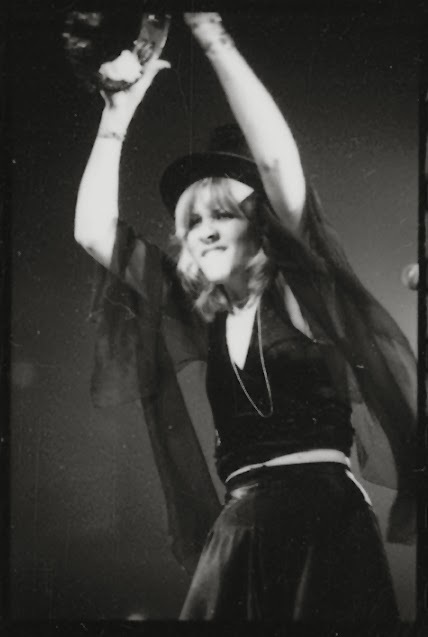 Stevie Nicks — lead singer and co-writer of Fleetwood Mac — is on a multimedia tear. After a sold-out world tour this year she's just released the DVD In Your Dreams (a visual bookend to her acclaimed 2011 solo album of the same name), and she's drawing new fans through her guest appearance on the hit show American Horror Story, which airs early next year. She slowed down long enough to answer our questions about the seemingly timeless appeal of her music. Q: You're a very private person, but In Your Dreams was filmed in your home. album is going to be really magic. We should film it." "Are you kidding?" I asked him. "That means I'll have to wear makeup and get dressed every day." Dave said, "Yeah, you may have to wear a little makeup, but I know how to shoot women — I've been doing it since Annie Lennox. And I use cameras that film in soft light, so we won't have to change the ambiance [of your home]. And if you don't like it, no one will ever see it." Second, I started thinking about the Tom Petty documentary Runnin' Down a Dream, where you get to see the Traveling Wilburys — and then, in the blink of an eye, two of them [Roy Orbison and George Harrison] are gone. So I thought, "We don't live forever — let's do this!" 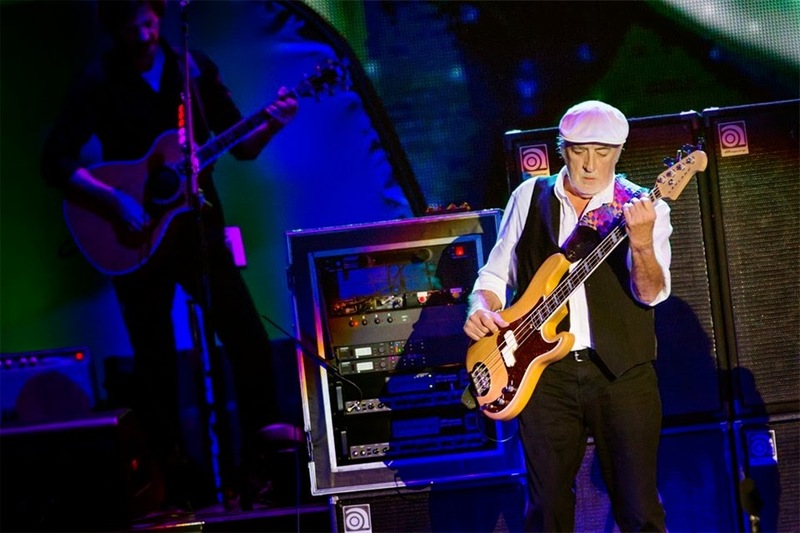 Q: Fleetwood Mac had to cancel the Australia and New Zealand legs of the tour so bass player John McVie could undergo cancer treatment. A: Yes, but he's doing well. He's going to have a little operation in January, but he'll come through with flying colors. There's nothing wimpy about John. Q: We're at that age where issues of vulnerability crop up. A: Well, I lost my godson to an overdose of Xanax and alcohol at a frat party two years ago, three weeks before my mom died. And I see a lot of young people heading down a bad road, so I'm much more worried about their mortality rate than mine. It makes me realize life is precious, and that I need to keep in contact with all my friends. Q: You're doing a longer concert set than you ever have. How do you stay healthy? A: I do Weight Watchers and take a lot of vitamins, but I don't really work out — unless you count dancing around the house and the hotel room. We're always doing shows — those are my workout. If I have a day off, I stay in bed: I make myself a hot-water bottle and some tea, and I don't move. Q: Fleetwood Mac's classic album, Rumours, turned 36 in 2013. Why does our generation — and the next few, apparently — love that record so much? A: When you listen to those songs, you don't feel like you're listening to old music. A 16-year-old girl can listen to "Gold Dust Woman" and go, "Oh — that's me." Q: And now you're going to be on American Horror Story. A: Yes! I think that happened because I got into the Glee tribe when they did the episode on Fleetwood Mac. I don't usually watch horror, but this is a great way to take my music to a whole other generation of kids. My niece told me, "I've lived in your world my whole life — now you're coming into mine." Q: You hadn't acted since your fourth-grade school play. What was the experience like? A: I'm no Katharine Hepburn, but I did the best I could. 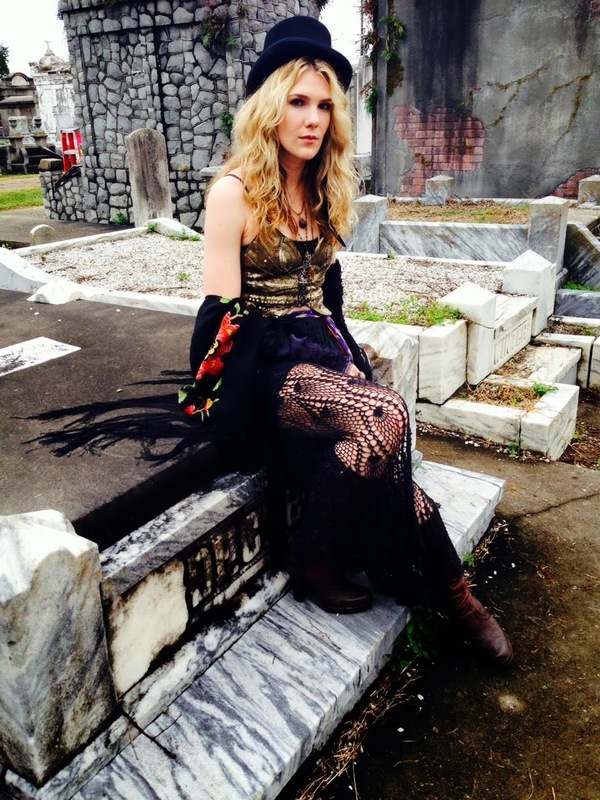 I told [producer] Ryan Murphy, "I don't want my tombstone to read, 'Great songwriter, lousy actress.' So if I'm that bad, just take me out." I loved meeting Jessica Lange and Kathy Bates and all the girls, and I'm excited about my role, which is a crazy one — I play myself, and then some! I think people will be surprised. I can't tell you more than that, because it's a total secret society; anyone who breathes a word of what's going on could disappear. Q: The way you dress on stage fits perfectly into American Horror Story. A: Yes, when Lily Rabe walks away and you see her hair — and the skirt, and the shawl, and the boots — there's no doubt that looks like me. Q: Young girls have started showing up at concerts rocking your look. Is it fun to appeal to them? A: It is. I created that look in 1976. The first year I went on tour with Fleetwood Mac, I took just my street clothes. We had no money, so I never ate; then I quickly gained 10 pounds, and nothing fit. So when I got home I went to designer Margi Kent and said, "Listen, I just want a handkerchiefy skirt, and a leotard, and a little riding jacket, and some black platform boots, and a chiffon scarf, and I want you to make three sets of those. That's going to be my uniform." As we went along, we added some ponchos. I found the top hat in Buffalo, N.Y., in 1978. The skirts came up, the skirts came down, but my basic look is exactly the same as ever. I always said, "I want to wear this outfit at 28, but I also want to be able to wear it at 60." Not in a million years did I believe I'd still be wearing it at 60! But I'm proud if I created a fashion statement. Q: According to the In Your Dreams documentary, love has no age limit. A: None at all! I believe that I could meet my great love at 70. I just have to run into the right person. People tweet, text, email and Facebook, but they don't sit in the same room and deal with each other face to face. That really bothers me. It makes me think, "Well, you'll never meet anybody." But I've felt that way before, then walked around the corner and looked into the eyes of somebody who would become one of my great loves. When you're not looking is when people show up. So if it happens, great, and if it doesn't, that's OK; I'm a creative person, and I fill my world with creativity.